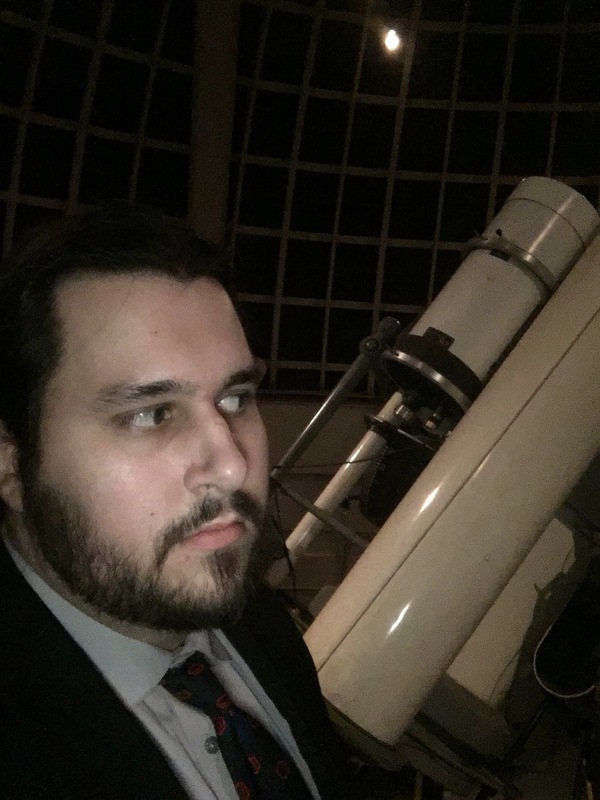 Being someone who works at Griffith Observatory, an iconic and historic landmark in Los Angeles, California, definitely adds some credibility to your passion and knowledge for the night sky! For the most part, Griffith Observatory has served as a public outreach location for the residents of Los Angeles since it was built in 1935. As one of the most popular tourists and civic gathering places in the world, it has always been a place that served to inspire everyone to observe and understand the sky – much like what I’ve done for family and friends all my life. Over time, my knowledge of the cosmos grew, and thus the place became somewhat of a Mecca for me. Whether I visited alone, or brought someone else with me, it was always a special place for me that helped expand my knowledge or helped explain it to someone else. In the Summer of 2017, I was in a “Redesign” phase of my life due to numerous setbacks that occurred during prior couple of years. One of which was my working situation, and literally a couple weeks after enjoying the Total Solar Eclipse from Wyoming, I was let go from working at Amazon after just a couple months being there. The cover letter and resume I submitted highlighted not only this website, but the things I have done with the Solar Eclipse, and the numerous events and presentations I have done for family and friends such as the nights in the Hopi Reservation and Joshua Tree National Park. For something like this, I had never been as nervous in my life as I was when driving to Los Angeles on my way to the interview. I played and coached in high caliber championship hockey games and still wasn’t as nervous as I was for this interview! 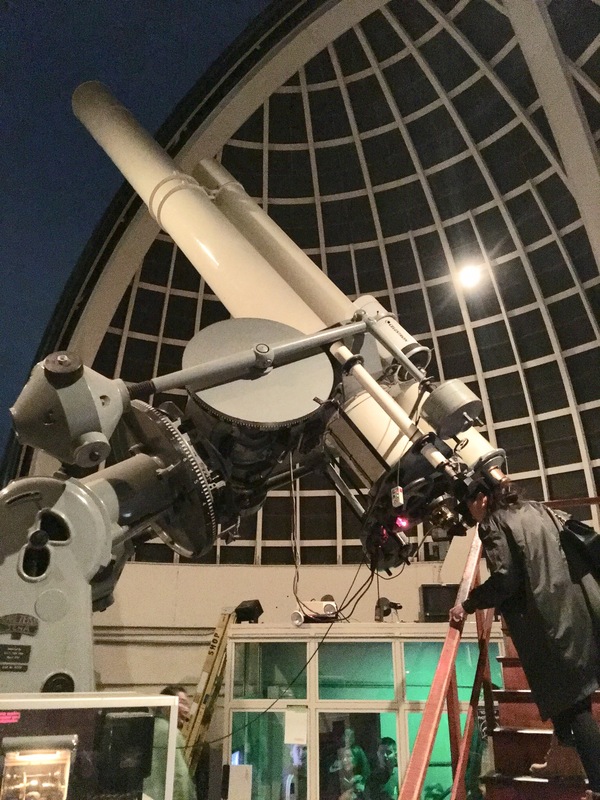 First I was given a tour of the famous Zeiss Refracting Telescope – the very same telescope that was installed in 1935 that holds the record for most views by the public. Once it hit me that if I was hired that I was eventually going to learn how to operate it, it definitely added more excitement! I was told prior to arriving that part of the interview was going to be a written test, which could take up an hours worth of the interview. But after talking to me, it was already clear to the two interviewers that I possessed enough knowledge, and was told “nah, you don’t need to take the test.” “Well that’s a good sign!” I thought. I drew a blank. First I said “perhaps star clusters and double stars.” “Is there one where there’s clearly a double star with two different colored stars?” Again I drew a blank because of my nerves. My mouth began mimicking Ralph Kramden in the Honeymooner’s episode with the failed TV commercial. After the interview was over, I was told I’d know their decision within 7-10 days. I just felt honored enough to be interviewed, and while keenly showing my interest, I accepted the possibility that perhaps they may find a better candidate than I and choose that person instead. So I waited… and waited…. and waited…. Since everyone who works at Griffith Observatory are technically employees of the City of Los Angeles under the Parks and Recreation department, I had to go through a long process of getting a bunch of paperwork filled out (medical clearances, fingerprint scans, etc.). This of course took more time, but thankfully the wait period was not as nerve wrecking as before. The time I started actually working my shifts at the Observatory could not have been timed better. Whereas the interview and hiring process took place during the “Redesign” phase of my life, my first official shift marked the beginning of the “Rebuild” phase. The “Rebuild” phase for me is a time of sowing the correct seeds for something better in my life. Yes, my day job also has its purpose, but for me, being at Griffith means more avenues to open up while providing me something I love doing while getting paid! Just being around other people who share the same passions as I do about the night sky is a big plus, and everyone that I have talked to there has always offered a new fact or new perspectives! You could not have asked for a better place for me to be. And it’s only going to get better from here!